For the first time ever, Norwegian sports fans will have to put up with television commercials when they settle down to watch their heroes live in action at the Olympics in Sochi. State broadcaster NRK lost its bid for the Winter Games to the national commercial station TV2, which is now airing its first “OL” broadcasts. TV2 bought the rights to air both the Winter Olympics in Sochi and the Summer Olympics in Brazil two years from now, with NRK relegated to live radio coverage. NRK will still offer coverage in its standard news programs and in a special “OL Magazine” program every evening, but the full and live TV rights are in the hands of arch rival TV2. It’s the biggest project TV2 has ever undertaken since it went on the air itself in the early 1990s as a new commercial competitor to NRK. Until now, NRK has aired every Winter and Summer Olympics and they’ve always been commercial-free, since NRK is funded through obligatory “license” revenues paid by households and businesses all over the country. 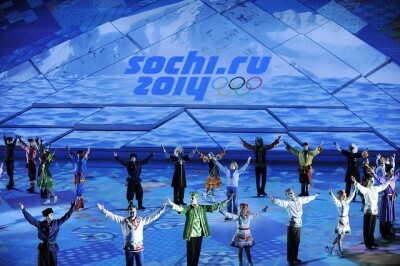 TV2 also has high hopes that it will capture new viewers and keep them after the Winter Games are over. “TV2 expects that its considerable investment in this OL project will pay off in terms of new TV viewing habits and higher market share,” said TV chief Morten Wiberg in the communications firm Carat. He said TV2 will also be using its air time to promote its new spring line-up of programs, and hopes the viewers they’ll surely gain during the Olympics coverage will tune in later as well. TV2 has been practicing, with dummy live broadcasts from the national season opener for cross-country skiing from Beitostølen in the Norwegian mountains, for example. It now has around 140 employees in Sochi, a staff bigger than Norway’s actual Olympic team, and they plan to broadcast 700 hours of Olympic coverage over the next two weeks on their three channels TV2, TV2 Zebra and TV2 Sportskanalen. Broadcasts will begin every morning at 7am and run until midnight. But packed into those 700 hours will also be 100 hours of TV commercials, and that marks the biggest change from NRK’s decades of commercial-free Olympic coverage. TV2 officials are braced for “viewer reaction” in the form of complaints either from sports fans or advertisers, and for monitoring from the state regulators of how TV commercials can be aired in Norway. Questions remain over how and when TV2 will insert the commercials that are paying for its live Olympic coverage. It will not be popular if a commercial suddenly interrupts an exciting moment in sports. TV2 won an exemption from state government regulators to send the 12 minutes of commercials allowed per hour in a way that coordinates with the sports action. Normally, all ads aired in Norway must be packed into periods before and after programs, or once in the middle of them, unlike the systems in other countries where commercials can appear every few minutes. Now, though, TV2 will basically be able to take more commercial breaks with fewer ads in them when it wants to, and that may be irritating to Norwegian TV viewers unaccustomed to any commercials during the Olympics. State regulators at Medietilsynet will also be standing by to make sure TV2 follows the rules to which it’s still subject. “We have established a little organization to handle response from the public,” Indrøy of TV2 told Dagsavisen. “We will be able to make adjustments (in how and when commercials are aired) along the way.” Indrøy claimed TV2 has had “intense demand” from its commercial sponsors, “and we are obliged to handle all this in a good manner. We are absolutely aware that if we make too many or large mistakes regarding placement of the commercials, it will hurt TV2”.